This spring has been very busy for us so not too much has happened at the boat and Dolphin Dance is still sitting firmly on the hard ground. The topsides are now waxed twice, but the underwater hull still needs some fresh antifouling. Furthermore, there are some scratches on the keel, which need to be repaired before the keel can be antifouled and therefore, it will take at least two weeks before we can start thinking about the launch. Hopefully everything is ready at the end of the month when we should cast-off for the first longer trip of the year. We are planning to start the main summer trip of the year right after the midsummer weekend. This year we are planning to take a course towards east and sail first to Helsinki. This will be a new sailing area for both of us, since we have never sailed in the area east of Hanko. From Helsinki we are planning to cross the Gulf of Finland to Tallinn. 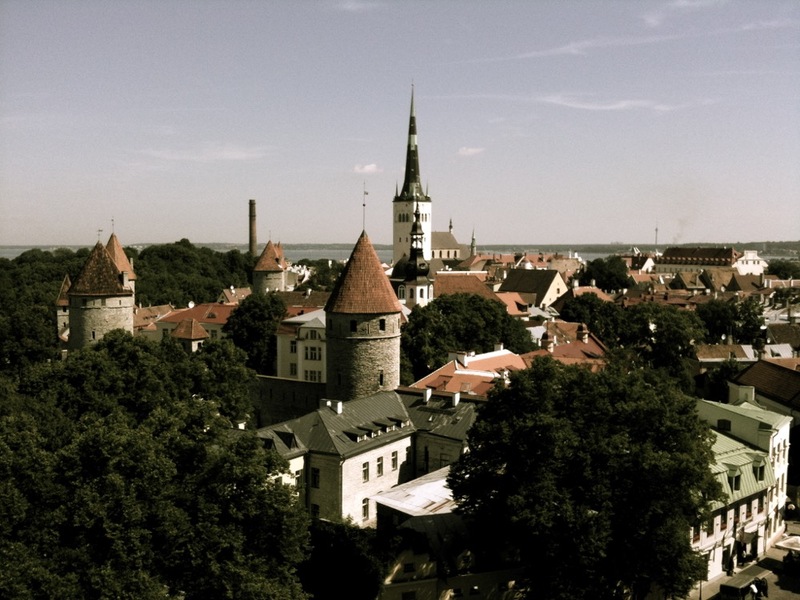 I am probably among the few Finns who has never been in Tallinn, so I am looking forward to visiting this lovely capital of Estonia. From Tallinn we are continuing along the Estonian coast to Hiiumaa island. From there we take a course towards Åland islands. This year we are planning to round the main Åland island clockwise before taking a course towards Kustavi, where we should be after the mid-July. So this is roughly the plan for this year, but of course we are flexible for changes depending on weather conditions for example. It would be nice to hear your recommendations for must-see places on these areas and especially about good harbours in Helsinki, Tallinn and Estonian coast/islands. Hi from Germany, I would recommend the harbor of Lohusalu. It is a nice little place with all you need. Hi Walter, many thanks for the tip! I checked out Lohusalu and we will definitely make a stopover there on the way to Hiiumaa. Antti, I have enjoyed some great parties in the town I know as Ekenäs [Tammissaari in Finnish?] especially at the restaurant Knipan. The 'inshore' route is really good if the wind serves. That is to say, the channel going East from the island Björnholmen which you pass on the way to Ekenäs. Work your way up to Barösund and out into Sysslefjärden. East of Porkalafjärden we have always stayed inshore (for interest!) leaving Träskön to the S and Räfsö to the N. In fact you could cruise a whole summer in this little area… It is not so pretty E of the longitude of Espoo until you arrive in Helsinki. We have always stayed at the NJK harbour of Blekholmen [Valkosaari] but the downside there is that you are reliant on the ferry service. Probably better in one of the harbours N of Katajanokka for easy access to downtown shops & restaurants. Hi Rich, many thanks for the ideas! Ekenäs is definitely a place that we would like to visit, but I haven't yet checked, how big the detour is from Hanko-Helsinki route. The wateway through Barösund would also be nice to see, as I have read quite much about it. I guess that the challenge for us is to spend enough time in this early part of the leg and not just to sail through it too quickly. The area definitely offers more choices for anchoring than the southern side of the Gulf of Finland. Welcome to Helsinki. Where are you planning to stay here? Looking like a nice route! How many days will you be sailing? Hi Vellamo, yes we are looking forward to cruising in new areas. Planning to spend about four weeks on this route.